A VIEW THAT GOES ON FOREVER! From this distinctive 3-bedroom Bedford Stone home that overlooks fields just outside the small town of Ireland. Relax on the back patio and enjoy beautiful sunsets or start your morning off right with cup of coffee on the front porch taking in a spectacular sunrise. 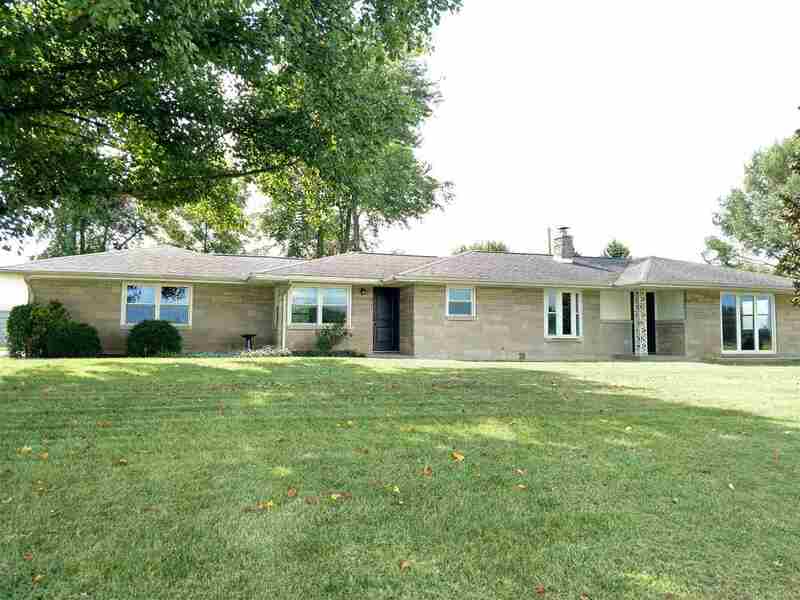 This well-maintained ranch offers a fully fenced in backyard and a large detached garage. Don't let this opportunity pass you by.